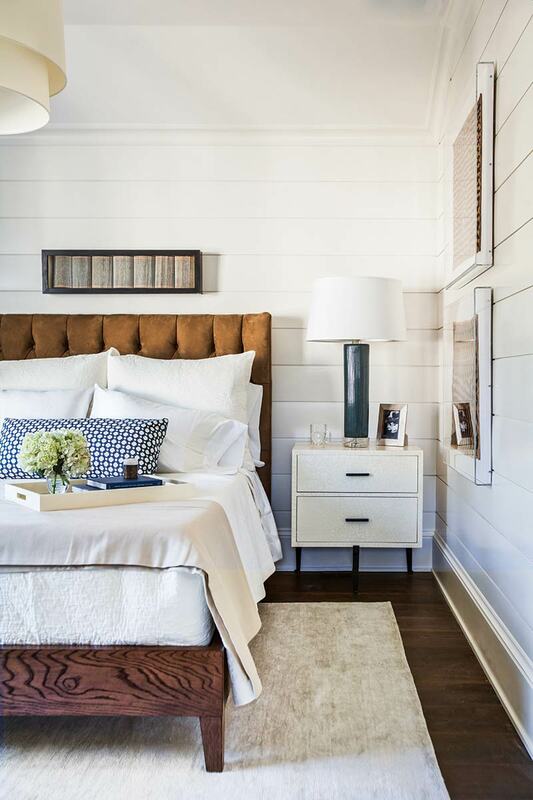 Interior designer Marie Flanigan had recently renovated her clients’ 1940s Colonial-style house in the historic Houston neighborhood of River Oaks when they again enlisted her help to come up with a freestanding guesthouse on the property. “The homeowners have family and friends spread all over the States and overseas, so they wanted a designated space where they could accommodate their visitors. They also wanted the guesthouse to mirror the architectural details and charm of their main home,” Marie says. So she enlisted the architectural firm Brickmoon Design to help with designing the two-story structure and its layout. “We did a lot of the interior architecture ourselves,” adds Marie of the 1,300-square-foot building. Upstairs is a one-bedroom apartment, including a master suite, open living and kitchen area, and powder room, and downstairs is a workroom. The wife, who is an architectural writer, also intended to use the guesthouse periodically for work. 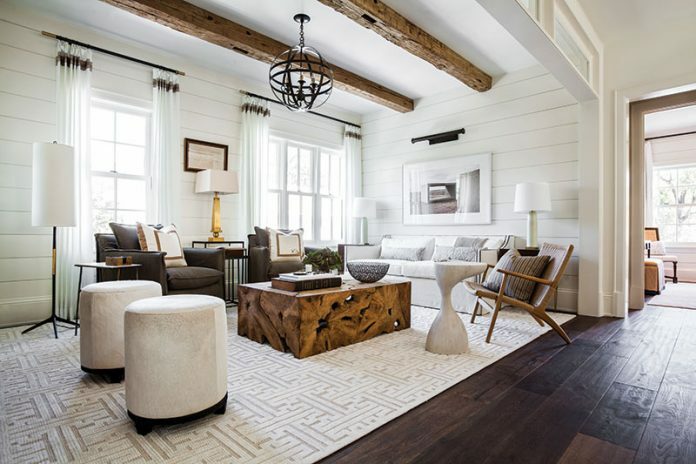 The cottage-style space is bright and welcoming with a north-facing exposure for plenty of indirect natural light. It has a lot of white finishes coupled with organic woods. Marie added shiplap siding in the workroom downstairs and again in a cleaner application upstairs. The painted and finished siding helps define the living area from the kitchen on the open floor plan.